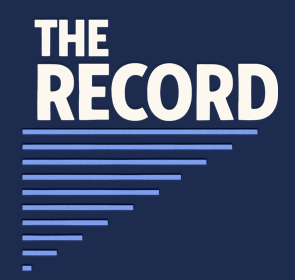 The Record brings you the stories you should know about the Mac and Cocoa development community. We’re currently publishing season #1: Seattle Before the iPhone. Subscribe in iTunes. Or to the podcast feed. © Copyright 2014-2016 Brent Simmons and Chris Parrish. This episode was recorded 16 May 2013 live and in person at Omni’s offices overlooking Lake Union in Seattle. Greg Robbins is Graphing Calculator co-author (a story you should already know about, that we don’t go over again) and has done such diverse things as bringing translucency to the Mac OS Drag Manager (way back in the ’90s), and writing an open source Objective-C library for Google Data APIs. You can follow Greg on Twitter. This episode is sponsored by Squarespace. Easily create beautiful websites via drag-and-drop. Get help any time from their 24/7 technical support. Create responsive websites — ready for phones and tablets — without any extra effort: Squarespace’s designers have already handled it for you. Get 10% off by going to http://squarespace.com/therecord. And, if you want to get under the hood, check out their APIs at developers.squarespace.com. This episode is also sponsored by Microsoft Azure Mobile Services. Mobile Services is a great way to provide backend services — syncing and other things — for your iPhone, iPad, and Mac apps. If you’ve been to the website already, you’ve seen the tutorials where you input code into a browser window. And that’s an easy way to get started. But don’t be fooled: Mobile Services is deep. You can write in your favorite text editor and deploy via Git. Regular-old Git, not Git#++. Git. This episode was recorded 22 May 2013 live and in person at Adobe’s offices in Fremont in Seattle. John Nack is Principal Product Manager, Adobe Digital Video. He has a blog (definitely worth reading, especially if you use Photoshop) and is @jnack on Twitter. This episode was recorded 15 May 2013 live and in person at The Omni Group’s lovely offices overlooking Lake Union in Seattle. You can download the m4a file or subscribe in iTunes or subscribe to the podcast feed. Luke Adamson is a founder of Toy Rockets. He’s a former instructor at the University of Washington’s iOS and Mac certificate program and a former developer at The Omni Group (where, among other things, he helped create OmniOutliner).